Updates to Kodable that we think you’ll love! Kodable is a great way for even the youngest kids to learn programming skills because we use elements such as numbers and colors instead of complicated syntax and code. We’ve spent a lot of time developing this intuitive, accessible interface for kids to learn because we believe every child should have the chance to learn to code. Recently, the Kodable team faced a statistic that we had not accounted for – almost 5% of kids are colorblind! What does it mean to be colorblind? In simplest terms it means that you have trouble differentiating between certain colors. This picture from colorblindawareness.org illustrates how someone who is colorblind might see different colored objects. With Kodable being used by over 15 million kids worldwide, this meant that 750,000 kids couldn’t use Kodable correctly. Obviously we wanted to change that. The spark for change came the day we hired Greg, our new designer. Greg is one of the most talented artists I’ve ever met, but after a week at Kodable I learned an interesting fact about Greg – Greg is colorblind! He couldn’t easily differentiate between conditions in Smeeborg or strings in Asteroidea. Together we decided to make a change. Starting with version 8.2, Kodable will now feature a Colorblind Mode that can be enabled or disabled at any time. When enabled, this mode adds a pattern or texture to all game elements in Kodable that differentiate themselves based on color. This is a free update that will be available to every teacher and parent on every device that runs Kodable. Our mission is to help give all children the opportunity to learn computer science, and we feel that this brings us a little closer to that goal. I can barely believe it has been 6 years since we started Kodable. The CS community has been on quite a journey since then, and continues to develop. Today we’re announcing some changes to our plans and pricing to meet schools within our community where they are. Many schools and districts believe in the importance of computer science. The innovators and superstars across the US are making coding happen for their students because they believe it will be one of the most important skills their students will learn. However, that means going though the thoughtful and sometimes long, bureaucratic process of getting approval and finding the time for computer science in the already packed curriculum. I spend half of most days talking to educators who want to implement a computer science curriculum in their school, but they need to prove its value to their administrators, co-teachers and school community before they can get the funds to invest in it. On the other hand, in order for Kodable to continue, we have to offer a product of value that schools are willing (and able) to pay for. So today, I am excited to reveal something we have been working hard to test and create for schools: A paid plan that is designed to allow educators to experiment, explore, and demonstrate the value of computer science. Why is the game access plan is a great option? The Kodable Game Access plan gives you access to all of the Kodable game content at a price that makes sense for most US schools right now. You’ll get access to all the student practice levels and some teaching materials so you can demonstrate just how valuable this education is to your students, on your own terms. The game access plan gives you access to all the student practice and creative content. You can decide to open up all levels for your students to explore and work at their own pace, make unlimited mazes, fuzzes and more. Or if you’re ready to do some instruction and want to pace students according to your schedule, you can assign content to them super easily! Explore computer science without the pressure of finding time for lessons every week. You’ll still have access to all the teacher guides which explain each concept, the vocabulary and real world applications. We’ve even included short videos for teachers so you can explain new concepts to students with confidence. Principals and administrators appreciate when a new instructional tool is implemented with care. Most principals are able and willing to spend a few hundred dollars to prove something is worthwhile and will be used. Then when you and your school are ready, you can make the transition to something more structured with a year or more of practice under your belt. What is included with the Game Access Plan? Get access to all the student content in Kodable. Your entire school has access for the entire year. Students can design as many mazes as they want and share them with the entire class. Allow students to play and learn at their own pace or assign content to them as you go. Encourage other teachers at your school to teach coding. You can invite them every teacher at your school. With all the research we’ve done on how teachers are using Kodable, I hope you’ll find this new plan is a good fit for your school. Now is the time to make the case for Kodable in your school. Most administrators are making their budgets now. If you feel like this new option is just right for your school submit it for approval. Is your school ready for structured computer science? I’m happy to help you decide which option is the best fit for your school. Creative challenges allow students to express themselves and engage with new subject matter in a whole new way. Creative projects also help you, the teacher, understand how well students can apply information. Students can now customize, create, and solve their own mazes to challenge themselves and the class! Build a maze and get creative with friends. Apply knowledge of coding concepts learned along the Kodable journey. Share creations with the class. Give love to your favorite mazes! Modify mazes from your classmates. Return after more experience and exposure to see what new coding concepts have been unlocked. Have students draw out and plan their mazes on paper before rolling through the online Maze Maker. Make sure if students are using conditions to write their “if-then rules” for getting through their maze. Students can practice writing instructions or “rules” to their maze so others will know what to look for. Tie-in math by counting how many squares were used in specific parts of the code or exploring and drawing shapes. Create & design a maze with a partner. Switch devices to solve (and save!) the unique mazes. Have students make and solve at home! Allow each student to write a review of another student’s maze, then modify it to make a second iteration. Often the best way to introduce new computer science concepts to students is with tangible examples. The Kodable curriculum is full of such lessons and examples. Today we’re excited to be able to expand our curriculum with a truly tangible branch of computer science: robotics! Robots work off of the same logic as computers and software. There are core constructs to the code used to control them. In many ways, the lessons are reinforcing concepts students learn in other units of Kodable. The lesson structure and style follows the same three part (I do, we do, you do) model found in the rest of Kodable, but now there’s a physical object involved! The lessons still have independent practice on-screen for students, but include guided practice in Wonder Workshop’s Blockly app, and of course, Dash! The robotics unit covers hardware and software, sequence, algorithms, loops, events, and functions. Followed by a four session (minimum) project focused on Design Thinking, which Brie says, “I honestly would love to participate in myself!” The priority is students learn while having fun and experience learning in a setting that allows them to ask questions, be wrong sometimes, try new things, and work together. Robotics naturally lends itself to inquiry based learning, projects, and Design Thinking. Design Thinking is a method of minimizing the uncertainty and risk of innovation by engaging users through a series of prototypes to learn, test, and creatively refine concepts. Design thinking is a process we use daily at Kodable and I’m sure you follow in your own life as well. The four part assessment encourages design thinking to foster and encourage creativity and collaboration in the classroom and the real world. You don’t need robotics experience to get started! Even if you have zero programming or robot knowledge, you still have all the information and materials needed to teach the lessons. Everything you need is included! The lessons are scripted, so Brie suggests, “read right off them if needed, or use them as a template for building your own if you find it doesn’t fit your style!” Most of this is new to everyone, so don’t be afraid to just dive in and learn along with your students! You’ll be rewarded with hands on engagement and a lot of learning. In January we announced our plan to focus on teaching computer science with intention. We released a comprehensive set of Computer Science standards to aid schools looking to focus their instruction, as well as required a class to use Kodable. All of this so you can track what your students are learning. Today is the next phase of this transition! New tools to teach CS with intention! Not every computer science concept is appropriate for a kindergartener. They simply are not ready to learn about functions or object oriented programming. Fifth-grade students don’t need to spend 5 weeks learning about sequence, but do need a quick study of foundational concepts before learning object oriented programming. Now, when you create a class in Kodable, you can assign a grade to it. This will automatically show you the appropriate pacing for your students. You’ll be able to see exactly what they should be learning and see the lesson plan to teach it. When your students are ready to move on to the next grade, simply change their grade level to modify the pacing. When teaching, it is crucial that your students are getting time to practice the skills covered in your most recent lesson. Including math equations, spelling practice, and reading new words. The same is true for computer science. Now, you’ll be able to assign students the practice levels that accompany your most recent lesson. When you assign levels, they will automatically appear on student devices. Students will be able to practice on any device using their class code, then Kodable will stop them from moving beyond what has been assigned. This gives you great control to make sure students are retaining the new concepts taught. Finally, the most exciting change in the coming update, is the ability to track what computer science standards students are learning. Our goal is to help you help your students learn to code. Now, you (and your administrator) can see exactly what they’re learning on their journey. Kodable will report their progress on the computer science standards associated with the lessons you’ve been teaching and the levels they’re completing. When?? And what to expect in the coming months! These features will be available to new Kodable educators starting this week! For existing educators, you’ll be able to migrate over the coming month. You’ll be able to easily sort all your classes and tell Kodable where to begin with lesson plans for each class. The migration tools will be released this week, and migration will take less than five minutes to complete. You will have one month to migrate your classes. If you do not migrate during the migration period, your Kodable account will be automatically converted to the new format. Once you migrate your classes and set their grade, you’ll be able to assign levels to classes. This means they will only see the levels you’ve assigned them. This gives you complete control over their pacing and progress in Kodable. When you’re ready for them to move on to the next set of practice levels, simply assign them from your teacher dashboard. This is the first of our gradual rollout of standards reporting. You’ll be getting more insights into what your kids are learning as we align Kodable to the computer science standards and begin to add assessment tools. These tools include more game based instruction aids, as well as formative and summative assessments. By the start of the 2017-2018 school year, you’ll know what computer science standards are being mastered, where students need more practice and Kodable will be able to give suggestions on how to review with them. We’re thrilled to make teaching elementary computer science a smooth and enjoyable endeavor as well as adding legitimacy to the instruction the community of dedicated teachers have been working so hard to develop over the past several years. Introducing Elementary Computer Science Standards! When coding was first introduced a few years ago, a self-driven, easy to use game was necessary. It needed to be introduced in a quick way for teachers without any previous CS knowledge to be able to fit it into their lessons. However, over the past few years, things have changed. Over 350 MILLION people have written a ‘line of code’ and millions of teachers have seen the impact CS can have. Computer Science is the single most important topic being taught to the youth of the world today. So why isn’t it being taught consistently? At Kodable, we have unprecedented influence on how computer science is being taught in schools. We have been used in over half of the elementary schools in the United States, and are the most widely used elementary programming curriculum in the world. Which is why it is so discouraging to hear so many teachers tell us that an hour of coding in December is enough or ‘We just let them play a couple free coding games, we didn’t really want to set up a class or teach a lesson.’ Playing a coding game without structured instruction completely misses so many of the benefits computer science education offers, and students are being failed in the process. More girls are not going to be encouraged to code just from a game. Without the instruction and encouragement of a teacher, students will self-select for computer science the same as before, and we will end up with the same demographically stunted, male dominated workforce we have now. So, we’ve decided to do something about it. Today, we’re taking a stand for Computer Science. First, I’m proud to introduce one of the world’s first Elementary Computer Science Standards. Led by our own Head of Curriculum – Brie Gray, the K-12 CS Framework (2016) guided the writing and development process before the standards went through multiple reviews by Kodable’s Curriculum Advisory Board. The board consisted of a team of educators from Stanford, Teach for America, and school districts around the country, we believe this is the first step to teaching computer science the right way. Following the S.M.A.R.T methodology (Specific, Measurable, Achievable, Realistic, Time-based), these computer science standards provide a roadmap for educators to teach CS with measurable student outcomes. It is important to note that these standards are not specific to Kodable. While over the next few weeks, we will be revamping our entire product around these standards, educators are free to use any coding program they would like with these standards. The most important thing is always the student, and if Kodable does not fit with a certain school, we don’t want the student to be left out. While there are some drafts currently available for K-12 that include a limited K-5 set of computer science standards, they are more of an outline or framework than comprehensive standards. The Elementary Computer Science Standards are by far the most comprehensive available, including a wide variety of concepts not addressed by others such as social emotional learning and communication skills. Our standards focus on developing the whole student, and really try to bring out all of the benefits that come with learning computer science, not just their ‘coding ability’. Second, The Kodable K-5 Computer Science standards were written to provide teachers with a roadmap for developing the whole student through a computer science education. The strands within the standards are comprehensive and include elements beyond programming concepts (e.g., social emotional learning, programming impact, ESL). Our goal is to reach ALL students and see computer science become part of a complete elementary education. It has always been our mission to make programming and computer science accessible to all students and educators. Since the beginning of Kodable, we have consistently heard how teaching students to code has brought about growth in many other areas. Students who normally didn’t engage with their peers began to open up and lead the class in programming. ESL students began to overcome tough language barriers through strengthened perseverance. Students struggling in math or testing improved their performance by practicing their problem solving skills in programming. The Computer Science Standards focus on more than just programming and critical thinking because CS teaches more than just that. Computer science expands to all areas of learning, so you can now definitively say to your administrators that integrating computer science will help your students beyond just problem solving. Now you can tech with confidence knowing their growth can be measured, connected back to programming, and most importantly, leave a lasting impact. What does this mean for Kodable? Lastly, we will be requiring all teachers to create a Kodable account and set up their classes to use Kodable. It will also no longer be possible to use Kodable as just a game. Students simply will not achieve mastery in any standard without at least one off-screen lesson being taught, whether they are using Kodable or any other tool, and we feel our product should reflect that reality. This decision was not made lightly. We understand how strapped for time teachers already are in the classroom, and will be making a number of improvements, such as QR code and picture based login, to preserve teachers’ already limited time. You can now be wholly focused on actual instruction, and not class setup or iPad management. We know this will not work for everyone, and luckily there are plenty of other quick-start coding products that do not wish to adopt this type of structured learning environment; some programming education is always better than none! But again, the student is always the top priority for every educator, including ourselves, and we feel like this is the best way to create a structured environment that promotes actual student mastery of concepts, not just a fun game to play. This is an exciting time for computer science, and for Kodable! Every educator we have given a ‘sneak peek’ at our computer science standards has been incredibly excited, and we know you will love them too. As eager as we are to get them to you, we are even more eager to hear your feedback! You can always reach us at our website – www.kodable.com, or by emailing support at support@kodable.com if you have any questions or concerns. We’re always here to help! Teacher to Teacher: Welcome to Kodable Academy! Our mission has always been (and will always be!) making it as easy as possible to teach programming in elementary school. For us, this means equipping teachers with the knowledge and understanding needed to teach computer science, without adding to the heavy workload and demands teachers already face. Today, we are thrilled to announce the kick-off of Kodable Academy! We’re bringing you teacher to teacher resources on foundational programming concepts. You’ll learn right alongside us, and feel good about the content you’re delivering to your students. Don’t worry, we’ve got you! Kodable Academy is a video series of short mini lessons (less than 5 minutes) that teach you foundational programming concepts. Each video explains the programming concept, gives a real life example that makes it easy to understand (like making a peanut butter and jelly sandwich), explains how the concept is actually applied in programming, and why it all matters. Technical jargon and abstract details? No thanks, let’s keep it simple! You and everyone! Made by a teacher for other teachers, we want as many teachers as possible to feel confident taking on computer science. Our Kodable Academy resources are free and available to the public. You’ll also find it easy to access through Kodable’s Helpdesk, registered Kodable teacher or not. We believe everyone should have access to knowledge and we hope you’ll share! You can feel confident teaching computer science to your students, whether you have a coding background or not! You’ll have a better understanding of the lessons you’re teaching and the tech tools you’re using in your classroom- from iPads to robots. Need to come back to a concept? No problem! You’ll always have a quick resource at your fingertips. Teachers already do so much. In taking on computer science, we hope Kodable Academy will be a valuable learning tool that gets you just as excited as we are about the future of computer science! Let us know what you think of Kodable Academy! Anything else you’d like us to cover? Leave it in the comments! Last week your students got an upgrade to Kodable with the release of Bug World on iOS, but now it’s your turn! We’re always listening to your feedback and as a result has made some changes to your teacher dashboard that we think you’ll LOVE! When you’re getting started teaching computer science, getting to your first class is crucial. So many teachers feel overwhelmed by all the choices, tools, and new content that they never make it to this point. However, if you make it to your first class, you’re 60% more likely to continue with computer science in your classroom. It is our priority to help teachers reach this point. Over the years, you may have received an email or call from a member of the Kodable team offering support to help you get to this point or asking questions about what stopped you. This method has helped hundreds of teachers get started, and we look forward to many more of these conversations. Kodable has grown to be in 1 in 4 elementary schools and there are just too many teachers to reach everyone individually. We wanted to find a way to replicate this process for others who we weren’t able to reach. This new to do list on your teacher dashboard will point you in the right direction to find what’s next for you and your students. It’s like having a member of the Kodable team right there to guide you through every step of your coding journey. Walk through each step toward teaching your first class. Your to-do list takes you to the current lesson materials. When you complete lesson plans, your to-do list will tell you which one is up next. Before the to-do list, many, many teachers had no idea that we offered so many great resources, lesson plans, and activities in our curriculum. Now, each part of the curriculum is easier than ever to access. Every lesson plan is accessible in a digital format straight from your teacher dashboard! This is the first step in our plan to make them all available inside the Kodable app. Having resources all in one place makes planning for your first (of many!) programming lesson. After teaching your first lesson in computer science there is usually a rush of emotions! The one we hear the most is excitement. However, often administrators and teachers are concerned about how to measure student outcomes. To accompany the qualitative evaluation built into each of our lesson plans, teachers have always valued our quantitative data. Now you have easier access to all your student’s progress on your teacher dashboard. Our goal has always been to make teaching computer science as effortless and fun as possible for both students and educators. Therefore, we’re always listening to what they have to say about how we can improve. Enjoy the new tools made especially for you, and let us know what you think! We’re here to help and listen. Thank you for all that you do. Education is changing! I’m sure you feel it too. You don’t have to choose between three educational content providers. There are hundreds of growing companies eager to solve challenges and needs of 21st-century classrooms. New technologies and new choices are making it easier than ever to meet the needs of all the world’s children! But now schools, educators, and companies are adjusting their purchasing processes to the 21st Century and it is proving to be challenging. The Education Industry Association recently partnered with the Center for Research and Reform in Education at Johns Hopkins University to better understand the challenges and areas for innovation in the rapidly changing world of education. They found that only 4% of companies think that today’s ed-tech procurement processes meet contemporary needs resulting in higher product costs. The same is true on the educator’s side of purchasing. Only 36% of curriculum directors report satisfaction with time spent on procurement. Just like in life, examining these shortcomings lead to some great ideas on how we can improve! The number one way to get funding approved is to test it in your school or classroom. Over 60% of districts rely on end user recommendations to make decisions. Once you feel confident about using this new tool, invite your principal or administrator to see the magic. Who can deny that engagement?! As an extension of number one, remember you don’t have to start with your entire district or school. In fact, 62% of districts rely on pilots to make larger purchasing decisions. Administrators work hard to meet the needs of everyone, and sometimes that means starting small and working your way up. We work with districts across the country who selected 10-30% of their schools or teachers to test Kodable. Many of the districts that use Kodable now, started with one school or grade level. After a successful roll out, they decided to include more locations in the coding fun. Pilots are a fantastic way to prove the feasibility and results of a product. Apps are rarely allotted any district funds, but many companies offer far more than what is apparent in their student facing app. Check their resources and website to make sure you’re getting the most out of the product. In our experience, teachers who use the Kodable lesson plans and progress tracking are far more likely to get support from their administrators. We often set up onboarding calls with educators to help them feel confident getting the most out of our curriculum. Do your research to see what options are available to you from the company. If you’re planning to work a new product into your curriculum, let administrators see you using all the resources it has to offer. If you know how to use the product successfully, it will be clear and you can explain the benefits more effectively. Parents are amazing allies. If you have a supportive PTA or room parent, ask them to come watch a lesson. Talk to them about the benefits of the tool you’re using and why it is helping their children. At the very least you’ll get some support to talk to your administrator about. Some teachers have success with fundraising as a class, having a bake sale, or asking each parent to donate a few dollars. Turning to parents has been especially successful with computer science. Parents see the benefit of knowing how to code every day at work. We have a template letter to parents available here. Once you make a decision to purchase, don’t let the process stall. Everyone wants to ensure the right decision is being made, which is why research, pilots, and recommendations are so helpful. However, only 36% of curriculum directors say they are satisfied with the time it takes to make purchases. Learn about your district’s purchasing processes so you can have an impact on the amount of time it takes to implement a new solution. I’ve spent the past two years learning about purchasing in education. There are so many ways that a great product can get lost in the shuffle. Teacher’s voices are valued and heard, but so many aren’t sure how to share their opinion. We recently added purchase processing to the Kodable teacher dashboard. It follows the purchasing process of the majority of districts. From there you can see exactly where you are in the process and you can keep everyone involved moving forward. Simply request a quote, then you can send it to the principal or director responsible for approving it. Your administrator can approve it and easily pass it on to the business office for purchasing. Each person in an organization has a role in the purchasing decision. It’s a complicated system, but we’re all working together to improve it. 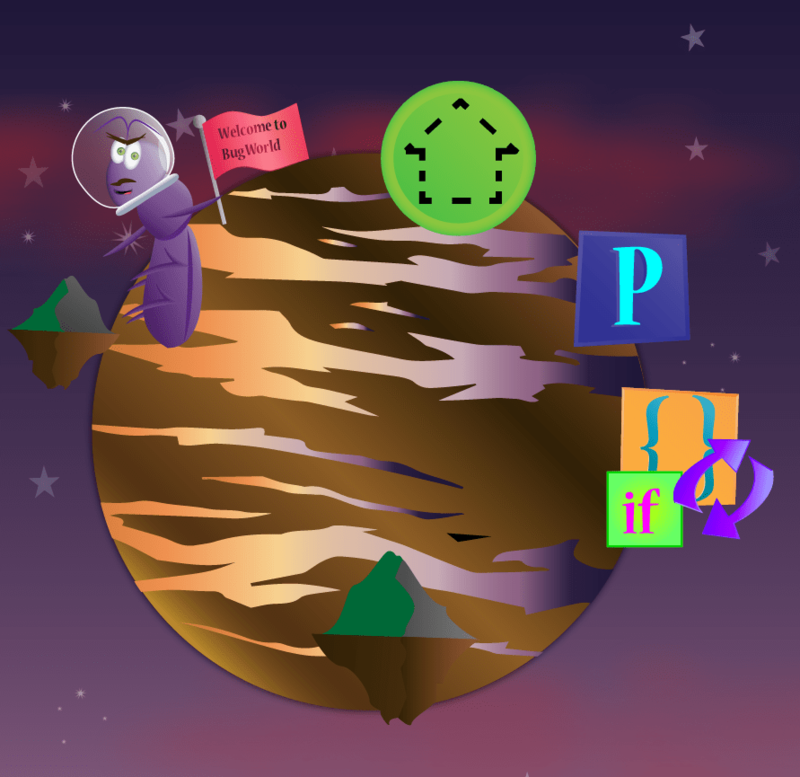 If you’re using Kodable with your students, check out our new purchasing page, it’s our first step toward putting purchasing power in the hands of educators. Teachers – Voice your opinion to get the ball rolling. Principals – Participate in pilots to prove results and find something your teachers will like using. Directors and Superintendents – Identify individuals who you know will have helpful feedback on products and student outcomes when testing new ideas. Companies – Provide resources and reliable data to your users so they can make the best decision. Sources: Education Industry Association, and Digital Promise. “Improving Ed-Tech Purchasing.” Digital Promise, Mar. 2015. Web. 30 Mar. 2016.